The new findings suggest that hydrothermal activity may have taken place on Enceladus for billions of years, hinting at potential for microbial life. In 2005, NASA’s Cassini spacecraft identified geysers on Saturn’s moon Enceladus that were blasting plumes of ice and vapor into space. Now a new study suggests that the secret to these geysers lies in Enceladus’s core — and that related hydrothermal activity may have existed long enough to allow life to arise on the icy moon. Enceladus is famous for displaying dozens of erupting geysers at the south pole, in view of the Cassini spacecraft, which was in the system between 2004 and 2017. To keep the water flowing, “an abnormally high heat power (more than 20 billion watts) is required, as well as a mechanism to focus endogenic [below-surface] activity at the south pole,” the authors of the new study write in the journal Nature Astronomy. The research was led by Gaël Choblet, a University of Nantes researcher in France who specializes in planetary interiors. The research team suggests that the additional heat could be generated from tidal friction inside the core, which they described as rocky and unconsolidated, meaning that the core is loosely held together. This porous core allows water to move up in narrow, hot columns that burst through hotspots on the seafloor. The model further shows that the activity could continue for at least a few tens of millions of years, and perhaps billions of years. The authors say that Enceladus’s core is likely a metal-rock nucleus with a lot of water-filled areas, as well as many iron-bearing hydrated materials; the abundance of these materials, they added, would hint as to how much water is in the core. The models included information from parameters such as the libration (oscillation or wobbling) of Enceladus that was detected by Cassini, observed sediments flowing underneath glaciers, and loading tests on granular materials. 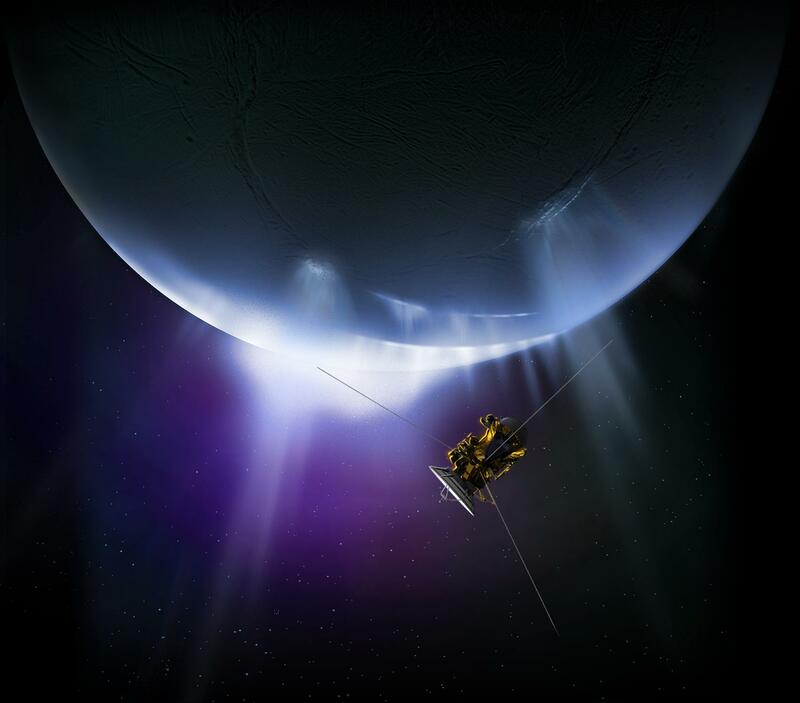 RELATED: How Would NASA Search for Extraterrestrial Life on Enceladus? These findings have implications for potential life on Enceladus. Cassini’s detection of hydrogen gas in one of the moon’s plumes fueled the idea that hydrothermal vents lie deep inside the moon’s subsurface ocean. They might possibly resemble those that are found on Earth, where chemical reactions could theoretically have produced the beginnings of microbial life on our planet. If so, then similar hydrothermal activity taking place on Enceladus for billions of years may have given potential life an opportunity to evolve on the icy moon. While the authors acknowledge this possibility, a dedicated mission to Enceladus would be required to learn more. NASA has no immediate plans to return to the moon, although a mission called the Enceladus Life Finder was submitted to a call for proposals for NASA's next “New Frontiers” medium-class mission earlier this year. Other examples of New Frontiers missions include New Horizons, which flew by Pluto in 2015, and Juno, which is currently orbiting Jupiter.